Canadian Water Well is a water well drilling and service company. If you need a new well drilled or just need an existing well serviced, we can help! We have the equipment and personnel to provide you with the best service available. Everyone needs water, and no job is too big or too small for us! We drill and service all sizes of wells including residential, agricultural (livestock and irrigation), municipal, commercial, and oilfield (rig/frac) supply wells. Canadian Water Well also serves the oil & gas industry with our generator, pump, and poly pipe rentals for rig and frac water supplies. We are also your Authorized Dealer for Big Tex, S&H, and TopHat Trailers. Our inventory includes single axle utility trailers, heavy duty utility trailers, car haulers, dump trailers, gooseneck trailers, and enclosed trailers. 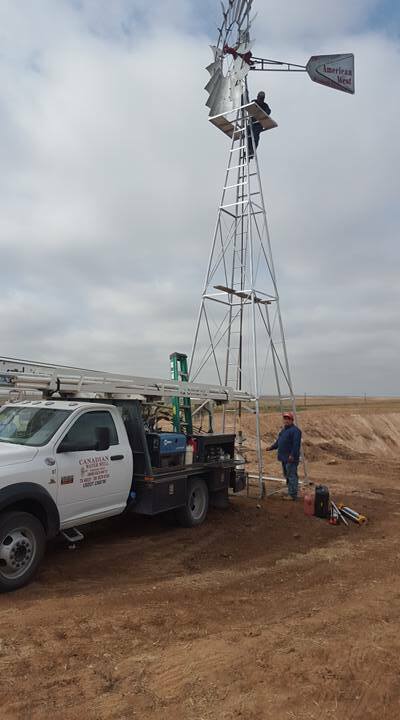 Canadian Water Well provides turn-key water well services for the entire Northern Texas Panhandle, Western Oklahoma, the Oklahoma Panhandle, and Eastern New Mexico. We are licensed and fully insured.